Missing teeth (single or mutiple) can be replaced using dental implants. This is a titanium fixture placed into the jaw which acts as a 'false root' upon which a crown or bridge can be placed. This is a permanent fixture which cannot be removed by the patient. Retention of loose dentures can also be improved with the use of implant support. Who would benefit from implants? Anyone who has lost single, multiple or all their teeth. Future anticipated tooth loss (badly damaged teeth, failing root fillings, advanced gum disease) can also be palnned for replacement with implants, thus eliminating the psychological effects of tooth loss. What advantages do implants offer over conventional treatment? Implants look function like natural teeth. Lost teeth can be placed without damage to the adjacent teeth, thus preventing bone loss, which occurs if missing teeth are not replaced. Are implants suitable for my age-group? Implants were orginally designed for older patients for the retention and stability of full dentures. Single or mutiplue tooth replacements are suitable for all age groups except children. Can the body reject implants? Dental implants are made of bio-compatable material. 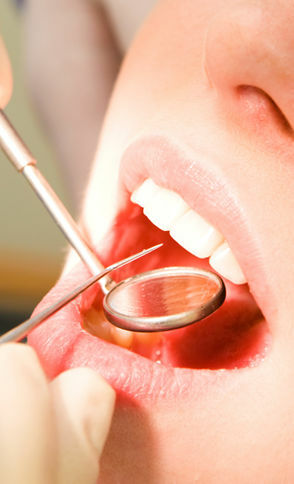 This is quickly accepted by the body and results in one of the most successful procedures in the medical/dental field. Most patients experience little or no discomfort during the procedure. Implant placement is carried out under local anaesthetic. However, we do offer sedation for nervous patients. The first dental implants were placed more than 40 years ago. Clinical studies have shown dental implants to have a very high long-term success rate.